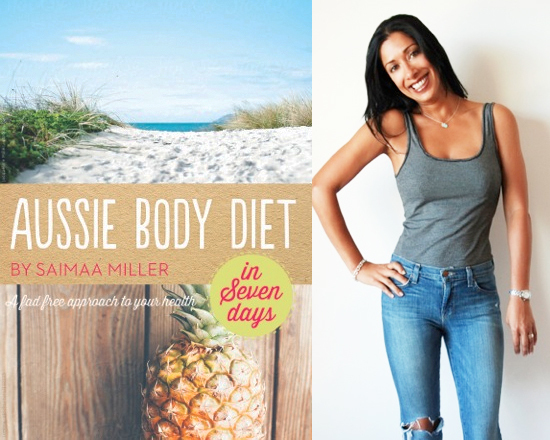 Bondi-based naturopath and business owner of The Last Resort Organic Detox Spa, Saimaa Miller is walking, talking proof that super foods are the modern day equivalent to a cape and tights. Through her blog (of which Jessica Gomes, Lara Bingle and Samantha Harris are all devotees) and Aussie Body Diet book, she spruiks the powers of pure food. Here she offers The Urban List an exclusive insight into 7 superfoods that can really render you a Health Hero. Undies over tights not included. "Superfoods are said to contain an extensive list of nutrients that fight disease and disharmony within the body," explains Saimaa. "Let's take a look at some of the most popular superfoods on the market and whether their powers really are all they're hyped up to be…"
Native to South America, acai berries are a potent antioxidant, good source of calcium, vitamin A, fibre, protein and monounsaturated fats. They are said to lower cholesterol and improve immunity due to their phytochemical content of plant compounds that help fight the ageing process. Tip: "Yummy added to brekky bowls and smoothies." Used for thousands of years in traditional Chinese medicine, Goji berries are quite pungent and bitter in taste. It is yet another berry high in antioxidants, in particular vitamin C, which makes it great for fighting infection and supporting the immune system. Tip: "Keep a handful tucked away in a brown paper bag in your purse for a quick snack." Usually found in dried powder form, Maca contains vitamins C and B6, potassium, manganese, iron and copper. It is said to be one of the best natural ways to regulate and support endocrine health, which regulates metabolism, increases energy levels, improves sexual development and infertility, regulates hormonal imbalance, rebuilds weak immune systems, speeds wound healing and enhances memory and cognition. Tip: "Maca is quite potent and only recommended in small doses (1/2 - 1 tsp. daily) so as not to lead to insomnia and hyperactivity, so sprinkle sparingly over brekky bowls and add to anything." Raw cacao – without all the sugar and dairy, which is added to confectionary chocolate – is quite literally 'food of the Gods'. With many health benefits it provides amazing antioxidants as well as a high dose of magnesium, and is also rich in iron, calcium, potassium, zinc and manganese. Chuck it into your cooking instead of chocolate. Tip: "Cacao can be quite stimulating, so be careful not to overdose! Whip up irresistible hot choccie, choccie mousse and raw cacao balls." High in omega-3 essential fatty acids, fibre, iron, antioxidants, calcium, vitamin C and potassium, these little seeds are fantastic added to smoothies and juices, or sprinkled on yoghurt, salads or breakfast grains. In order to reach a therapeutic dose of nutrients, however, you will need to eat quite a lot of these babies. Tip: "Make a gel to reduce bloating and stave off hunger" – (see recipe in Aussie Body Diet in Seven Days). Kale possesses sulphur-containing phytonutrients which are said to be cancer fighting. This is due to these phytonutrients acting as antioxidants to protect against free radical damage. Kale is a great source of beta-carotene, which is converted to vitamin A in the body and is essential for eye and lung health, and is also high in calcium and vitamin C, which acts as an immune booster, antioxidant and supports collagen (the main protein in the body that holds our organs together). Tip: "Kale is wonderful in smoothies, salads and soups or baked to make chips!" There is an abundance of vitamins and minerals found in paw paw including vitamin A, C, E and B, calcium and iron. The other wonderfully unique quality about paw paw is that it contains digestive enzymes papain and chymopapain – which help to break down proteins and convert them into amino acids, making it an excellent digestive aid and fantastic for reducing symptoms of bloating and indigestion. Tip: "Delicious ripe with a squeeze of lime, or add to smoothies or curries." To purchase the book, or learn more about Saimaa, visit the Aussie Body Diet website.